A nourishing shampoo for all hair types. 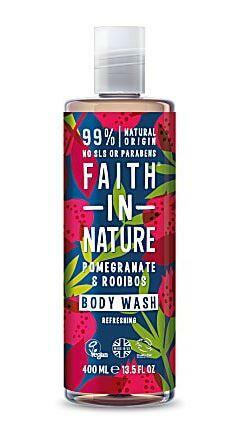 Faith in Nature have blended antioxidant rich organic pomegranate and organic rooibos with glycerine to create this wonderfully nourishing formula. 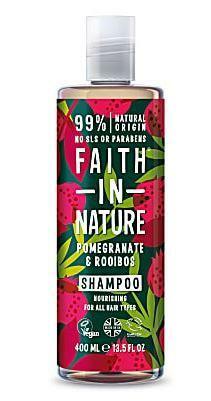 How to use Faith in Nature Pomegranate & Rooibos Shampoo; Massage gently into wet hair, rinse well and repeat if required. 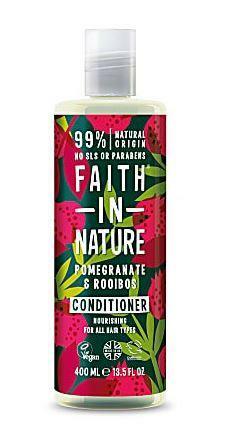 For best results, follow with Faith in Nature's Pomegranate & Rooibos Conditioner. In case of contact with eyes, rinse with clean water immediately. If irritation occus, stop use. Keep out of reach of children.